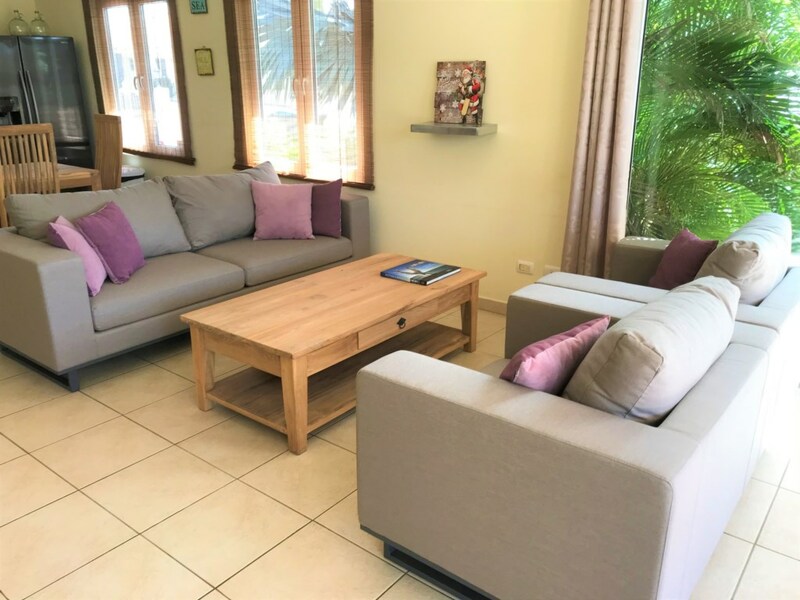 Kunuku Villa is a brand new modern villa located in a quiet residential area of Modanza. This beautiful modern villa is built on 2 lots, making the back area of the villa very spacious and private. 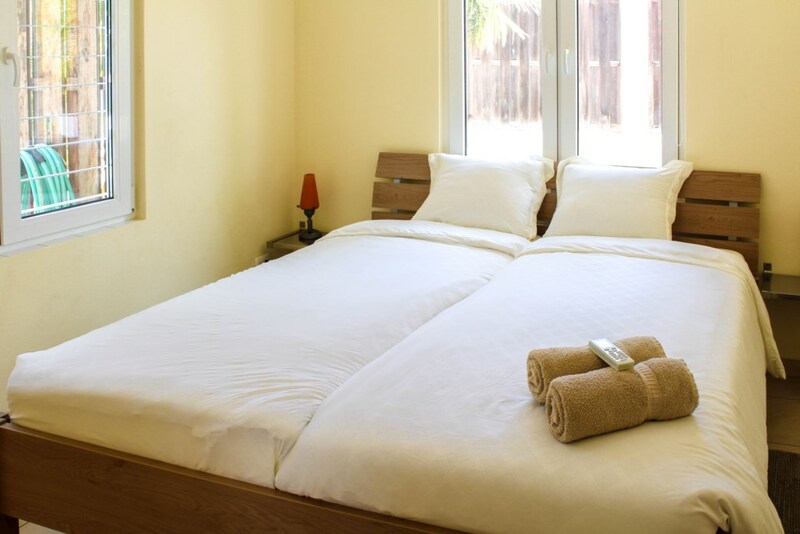 Kunuku Villa also features 3 fully airconditioned bedrooms with their own closets. The house also boasts 3 seperate bathrooms and a well-equipped kitchen and living room, also air conditioned. There is a cozy covered porch overlooking its beautiful private pool and the garden landscape. 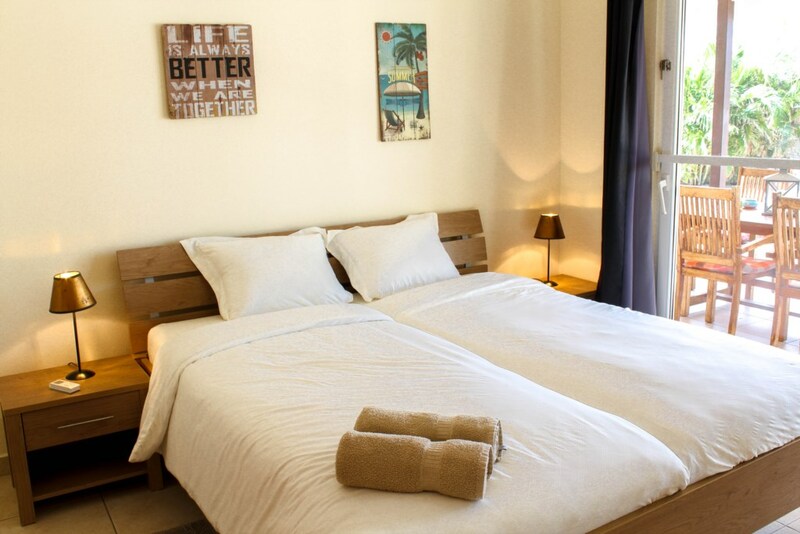 Kunuku Villa also offers a free cell phone that can be used to make local calls and we also provide free WI-FI. The highlight of this house is the outdoor area perfect for lazy days and pool side BBQ's. 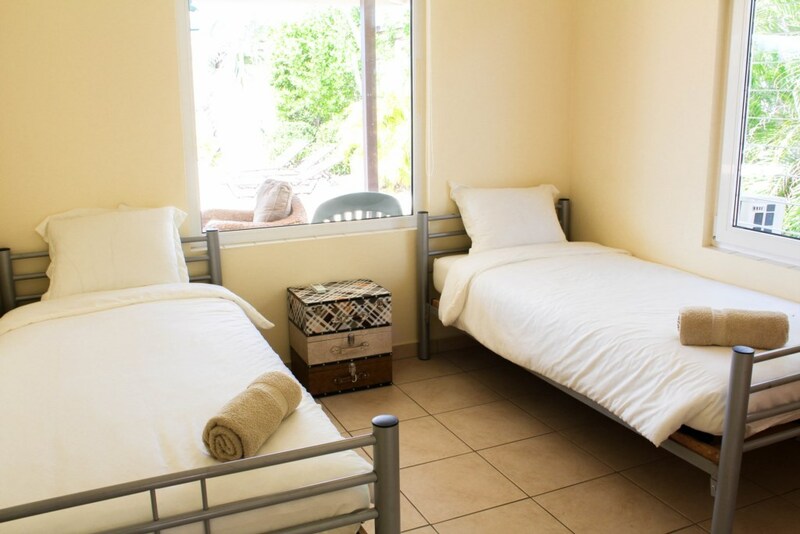 This total rate includes the 15% tax, final cleaning of US$ 100,-, bookings fee, an allowance for water and electricity for the amount of US$ 18,- per night and wireless internet. Over usage of utilities shall be to your discretion and at your expense. Upon arrival a refundable security deposit is required of US$ 400,-. Ideale ligging! Rustige buurt, ruime woning, ruime veranda! Wanneer wij weer naar Aruba gaan dan zullen wij de beschikbaarheid van deze woning als eerste bekijken! The Kunuku villa was perfect. The pool area was fantastic and offered alot of privacy. Nice quiet neighborhood. Unfortunately the aircondition in the livingroom was out of order, but we managed with open windows during the day. We will miss the pool very much. A suggestion is to install a TV in the master bedroom. We missed that comfort at night time. We will return for another visit! Prachtige villa, groot overdekt terras , grote tuin met mooi zwembad. Slaapkamers met airco, inventaris in het huis geheel compleet. 3 slaapkamers waarvan 2 met een prima tweepersoonsbed en 1 met twee enkele bedden. Foto's en toelichting op de site is niets aan gelogen! Great villa with perfect terras, garden en swimmingpool. We had an excellent stay! The info ans photo's on the internet are exact as the house is. The pool, pool deck and backyard area is wonderful. The pool was clean, lounge chairs were good quality and clean, the backyard is very private even though there are other homes close by. The home was clean, the appliances were in good working order and clean and the WiFi worked well. The security system was very easy to use as well. The home was easy to find and had good off street parking. Deze vakantie vergeten we nooit meer! Hele mooie villa met zwembad, airco, 2 badkamers en privacy. Op 5 minuten afstand van het strand gelegen met de auto en alle andere voorzieningen in de buurt. We have just returned from our first visit to aruba and we are so happy we chose this beautiful villa to spend our stay. It is exactly as it shows and although you need a car, it is so easy to get to shopping, restaurants and the beach from this location. Let's face it, Aruba is a small island, it's quick to get to everything!